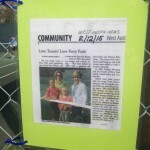 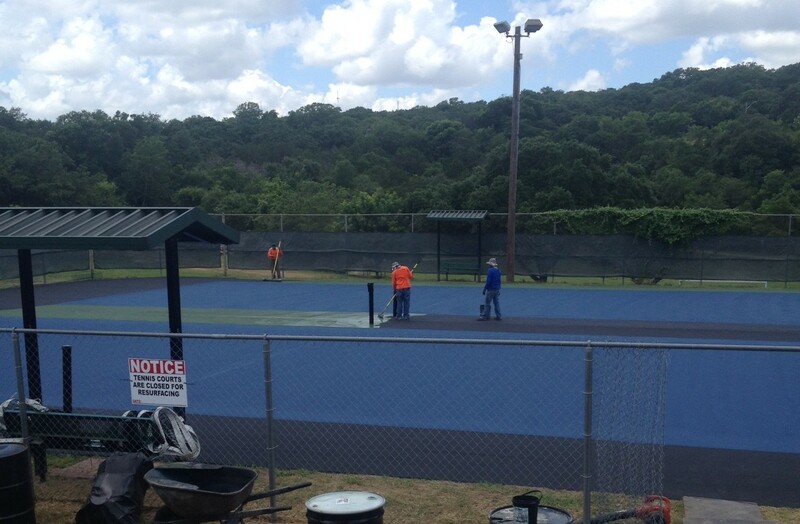 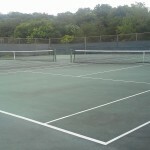 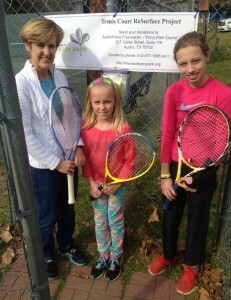 Home » Tennis Courts Resurface Project – Complete! 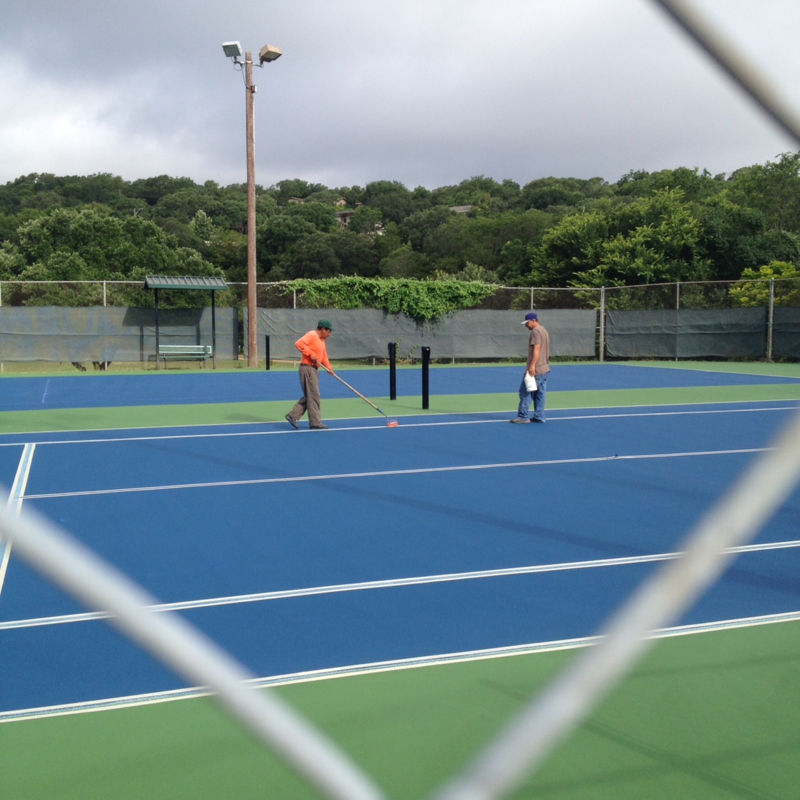 The Friends of Perry Park recently worked with PARD and our local tennis community to resurface the two tennis courts at Perry Park. 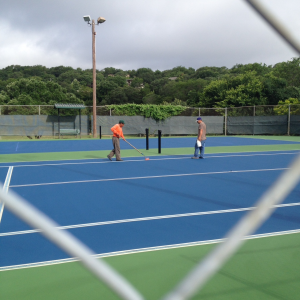 These courts were last resurfaced in early 2000 so this was a very much needed project. 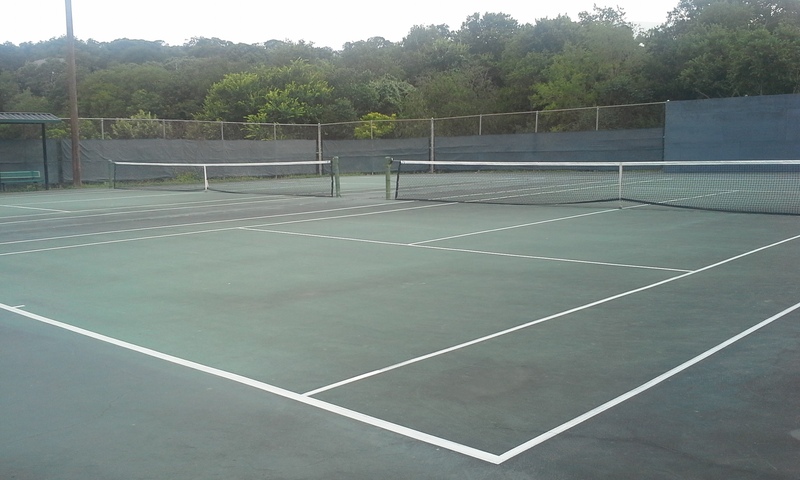 The surface is for medium speed play and faint blended quickstart lines have been added to the courts for our younger tennis players. 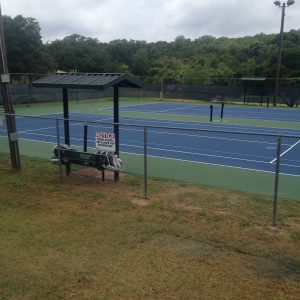 Friends of Perry Park was awarded an Austin Park Foundation Austin City Limits grant to fund a major part of the work. 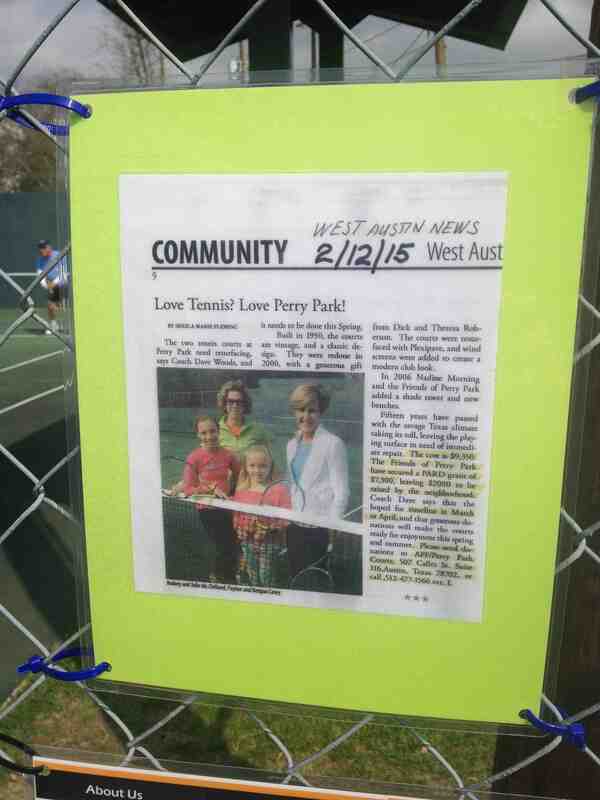 The community fundraised for the matching $2000. 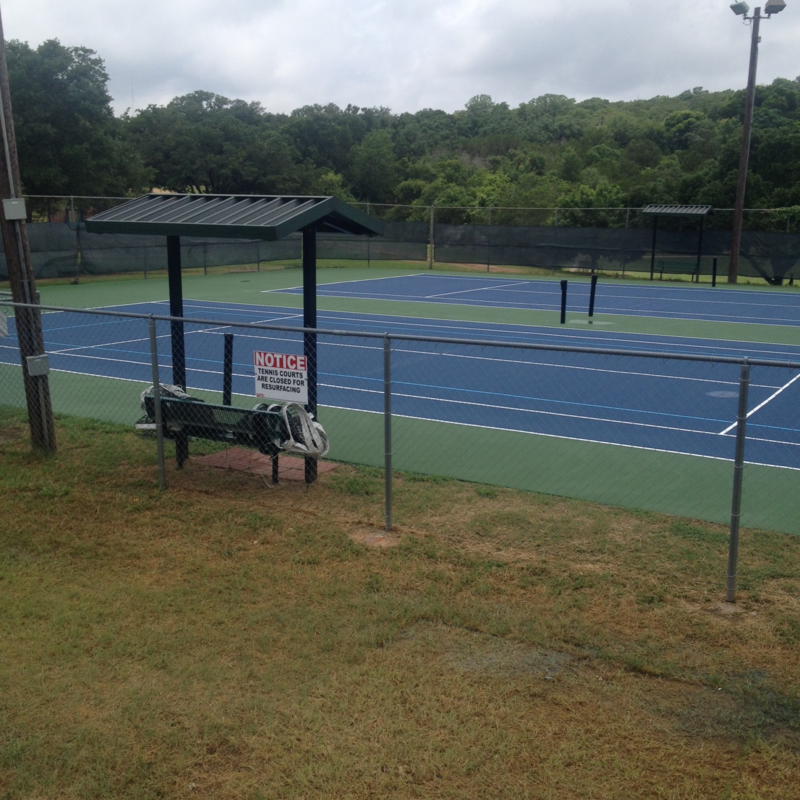 Perry Park Tennis Courts Resurface work is complete and the courts are open. 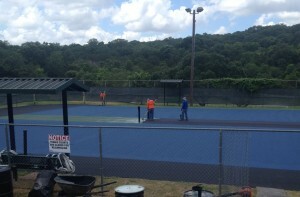 Thanks go out to CourTex Construction! 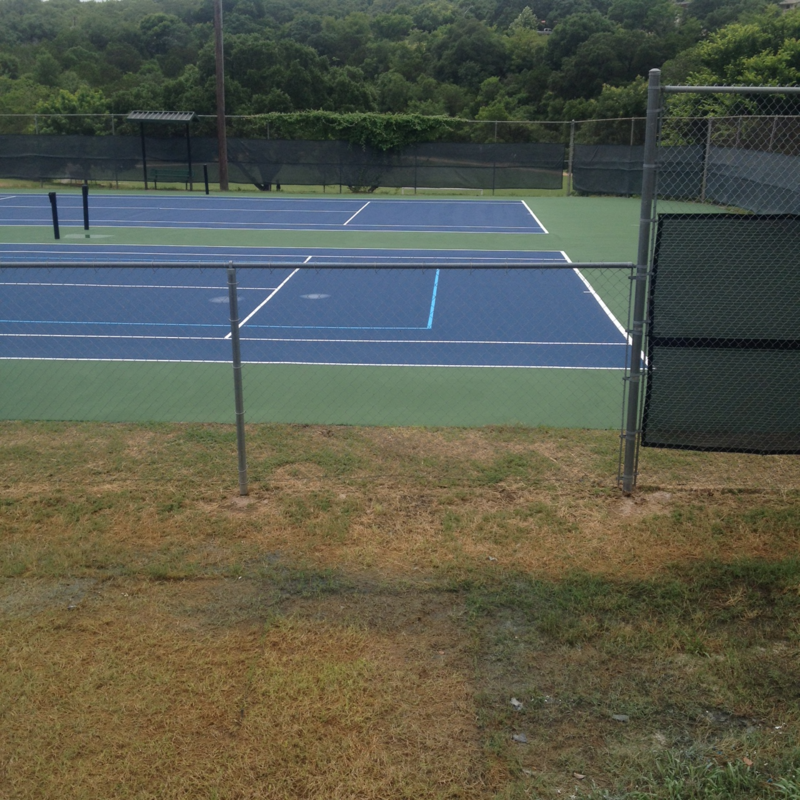 Many thanks go out to Dave Woods for all his hard work on this project. 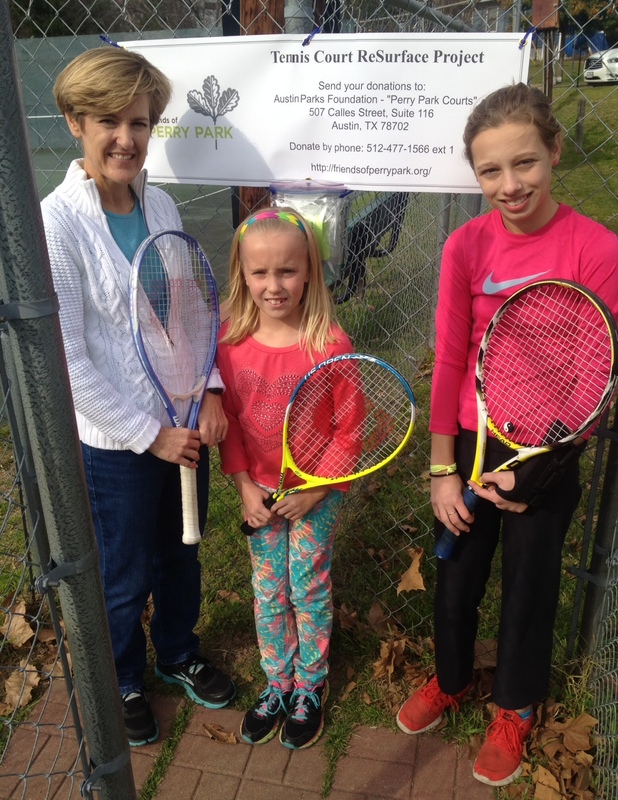 Many thanks go out to the many neighbors who contributed towards the project, including HPWBANA and HPE PTA! Tennis Courts before the project.